Having a Taekwondo Central student pass Black Belt is always something that makes myself and Head Instructor Ajana very proud. Its part the reason we dedicate so much of our time to the growth of others but every now and then a student comes along that can be seen from observation. nothing needs to be said. November 3rd, 2018 was another great day for the club. 4 new Black Belts and 2 who passed their 2nd Dan Black Belts. This Honour bestowed upon the best Technical & Traditional Taekwondo exponent is a little different to our style. The freestyle taekwondo we teach has less tradition and more defence. We as a club spend less time on poomsae (Patterns) and more on developing powerful strikes and defences relevant to todays style encounters. No one is wrong or right. It just a matter on what you focus on. Martial arts has many aspects to it. Its one of the things that make it so fascinating. 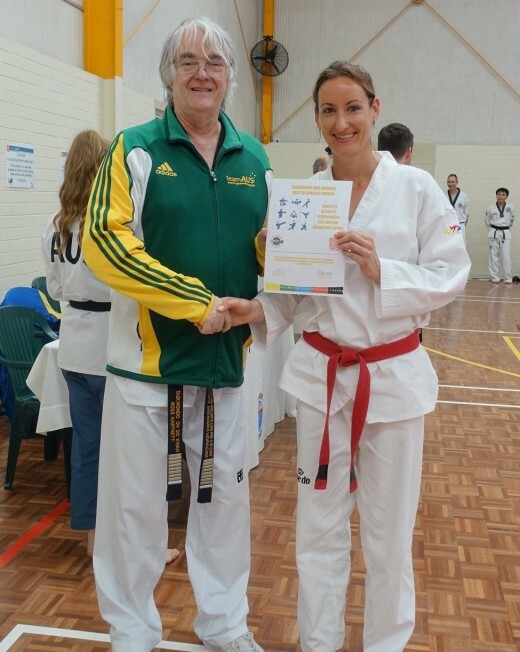 Kelly Rowe has done the amazing task of winning one of the “Best Grading Award” from a grading that consisted of some 70 people. The award has just been running a few years but its a great achievement for both Kelly & Taekwondo Central being our first time. So what made Kelly make that level above. It really is a case of the little extra that turns ordinary into extraordinary. Its a case of what you put in is what you get out. Kelly has been a result of 2 things. A product of her own dedication & discipline. Her thirst for knowledge and growth in her martial arts is truly impressive. 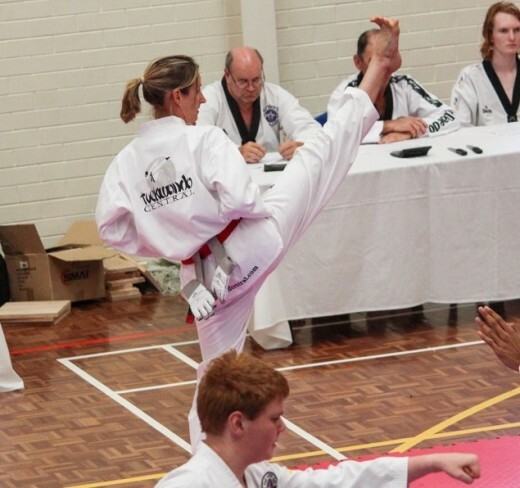 Secondly Kelly has been a product of Taekwondo Centrals training, however just to be clear, extra personal time training due to her drive is the main contributor to Kelly’s success. 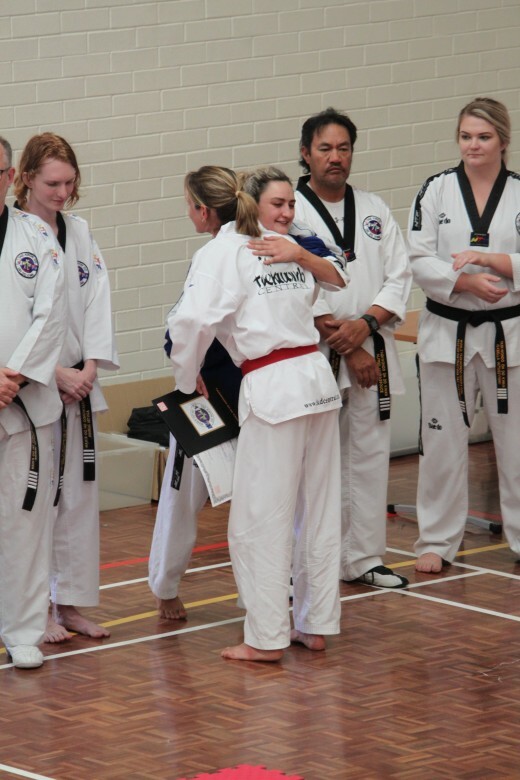 A regular member of the Paragon Program and a person that has put the time into learning from what all 3 of the clubs main instructors can teach, Kelly has also added her own training program at home to help her absorb her new martial arts lessons. 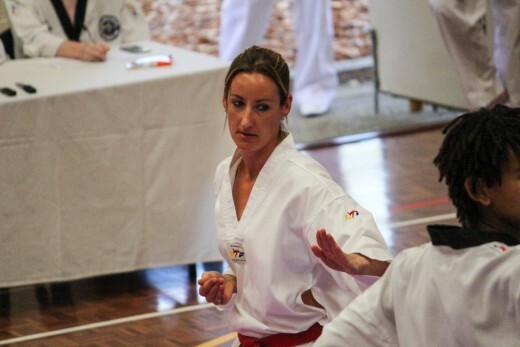 Kelly has been a part of the Sparring Class & Demo Teams plus a Club Assistant and even recently lead her own classes. As a true martial artist, her goal is to keep on the journey to Martial Arts Mastery. With her eyes focused on 2nd Dan Black belt next year an liftin her instructing roles within Taekwondo Central. Kelly is also the Founder of Martialfit. A Martial Arts based exercise system that is for fitness not belts and its taken off in popularity. 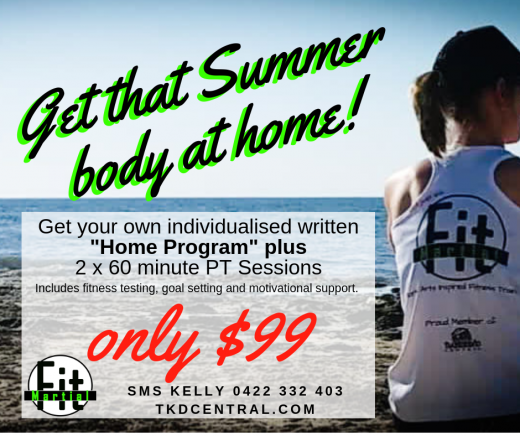 With demand and reach of classes now expanding from Bunbury to Busselton, Kelly can bring what many other personal trainers cant. 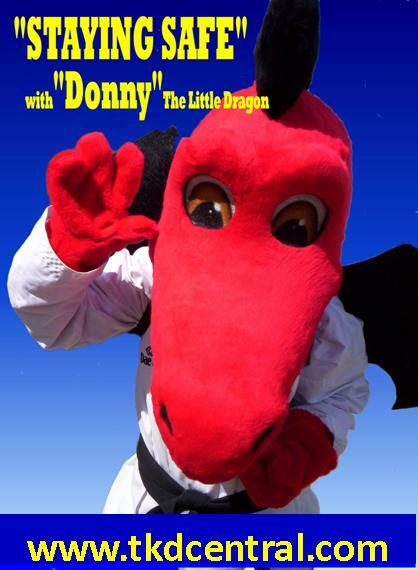 Yes she has the personal training qualifications but she also is a Black Belt. She really does put her all into her training. I am of the belief that she will do the same for you. be it get in shape or get fitter to start working on belts. Martialfit bring on its own benefits. plus in the knowledge that your trainer actually takes pride in her training. Its an attitude you can grab onto and carry the rest of the day. Exceptional accomplishment Kelly! Well done – applause, cheers and bravo!!!! !